Augmented Reality in mobile apps, an adaptation which sounds like a futuristic one is now an industry trend and not so far from becoming common. Creating a virtual experience in the real world is what AR aims at. This aspect can be used by augmented reality app development companies to help businesses build AR apps to improve the way they project their products or services to consumers. Intrigued by this fact?? Then it is time to know in depth about this technology, how to develop AR apps in iOS, Android and other platforms, how viable it is and the possibilities of making it operative for business benefits. How Augmented Reality Technology Works? Augmented reality uses two approaches, marker based and location based. Maker Based concept is about having a software recognize a pattern (a symbol or sign) when a camera scans it and projecting a digital content like image or video on the surface of the symbol or sign. Location based approach is mainly for navigational purposes where a user’s location is identified and after recording the current location of the user’s device data like a navigational map or information on the surrounding places are provided. What it is Like to Experience Augmented Reality? Augmented reality blurs the line between real and computer generated experiences by placing digitally generated information in (images, visuals, 3D models, walkthroughs, videos) in user’s real world. It helps experience or learn things though it happens to be a smart illusion. 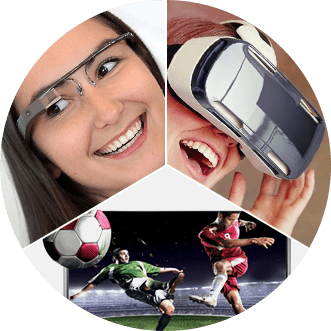 Augmented reality is not completely reserved for wearable devices like Google Glass, Go gears, Smart TV or those which cannot be a part of everybody’s day-to-day use rather it can be put to use in mobile devices like smartphones, tablets via platforms like iOS, Android, Windows etc. When it comes to AR based mobile app development services, it can play a major role in app sectors like enterprise apps, advertising, education, consumer apps, mobile app gaming etc. Why Should Businesses Develop Augmented Reality Apps? Yes, you’re guessing it right. Augmented reality is going to be next step for businesses in terms of spicing up their customer experiences and stay ahead of their competitors, especially in retail e-commerce. On the flip side, the investments aren’t going to be too much as AR is more capital friendly. Branding – Building Augmented reality applications, your brand gets recognized in a flash and most importantly, creates an impact so that it stays in your target audience mind forever. User Experience – AR complements the physical shopping experience with a bit of color, sound and visual content. The customer will still be in the most familiar environment and at the same time experiencing something engaging and convincing. Investments on such graphics aren’t going to be too much as today’s technology have made it much economical ultimately making Augmented Reality a more commercially viable solution. In-Store experience – Simulation of products in actual size in virtual trial rooms fits apparels for customers making in-store shopping more convincing even in the absence of the products. Online shopping – Demo videos that deliver more information and videos of unboxing products provides a direct store-visit-like experience for shoppers. AR Maps -Augmented Reality apps with maps can navigate, throw details on places nearby when coupled with technologies like geolocation. Travel – Digital walkthroughs of sites and ambiance with historical information, panoramic view of sites. Education – Augmented reality apps for education can contribute in more engaging classrooms and interactive learning. How to Develop Augmented Reality Based Mobile Apps? Developing augmented reality apps in Android and iOS and all other major platforms is certainly possible. How to build AR Android apps? Augmented Reality Android apps can be built using the Android SDK as it provides the API for interacting with the camera. For 3D graphics, the Android SDK provides OpenGL support making it simple for developers. How to build AR iOS apps? To develop augmented reality apps on iOS, you can make use of Craft SDK. Its APIs helps in pushing new and editing existing AR contents with ease. Videos, 3D models can be uploaded to the media library on the cloud. With Craft’s Augmented Reality creator, you can easily create the content and simply push it to the AR environment. Craft’s cloud image recognition helps in identifying thousands of objects instantly. Analytics helps in measuring the performance of the AR contents. Apart from Android and iOS (Metaio – under development) SDKs, there are several toolkits available for creating AR apps on smartphones and wearable devices. HandyAR, Vuforia, cardboard, Layar, ARToolKit, LinceoVR, Wikitude, NyARToolkit, SketchUp are some of the augmented reality app development toolkits available in the market. 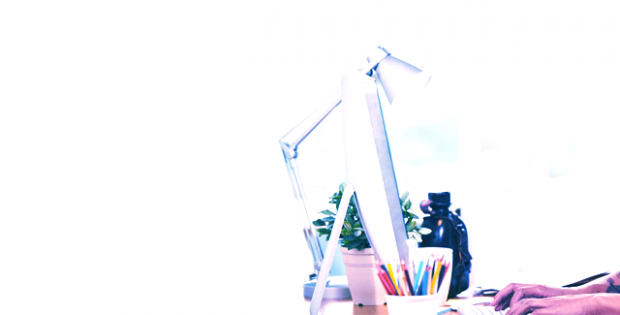 Why choose Contus as your Augmented Reality app developer? Here are the factors that distinguish Contus from other players in the field of AR app development. Customization – AR is evolving and so Contus develops AR apps that can be completely customized thus ensuring that the possibilities for improvisations are endless. Security - Contus ensures that your AR apps are protected with multiple layers of security thus ensuring your valuable data from being hacked. Owncloud – Apart from adaptive scalability and safety of app data, Contus extends its services to providing the cloud setup that’s appropriate for your app. 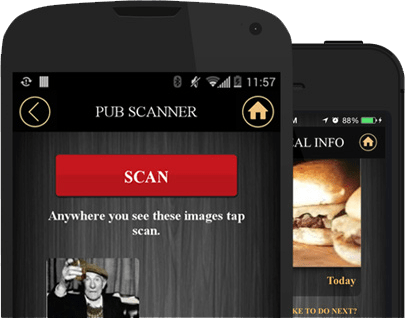 Lansdowne Pub, a branded native food app built for Boston’s leading restaurant and pub chain Lansdowne uses Augmented reality for improving customer retention. With an idea to deliver surprise discounts, deals and offers to its customers in an inviting way, the restaurant made use of augmented reality. Restaurant goers need to scan pub related logos or signs upon which an AR aided information will let them know details of the discount. 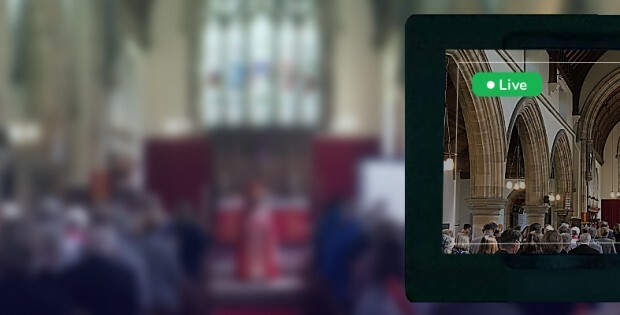 How to Live Stream Videos for Church Services? 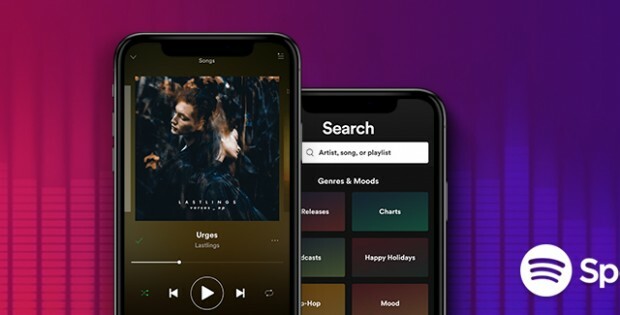 How to Build Music Streaming Application & Website Like Spotify? 45 Comments on "Augmented Reality Mobile Apps – Closing the Gap between Digital and In-store Shopping Experiences"
Of course Ramanathan! It’s the next step to enhance customer experiences and stay ahead of competitors, especially in retail e-commerce. However, understanding this technology is really challenging, so thanks for your helpful guide. I want to know, Who are the top players in augmented reality space? Tech giants like Google, Facebook, Microsoft, Apple are into refining their own SDKs for developing augmented reality based applications. Google plays with Google Cardboard. Facebook has acquired Oculus VR for $2B USD. Microsoft’s augmented reality are framed using Hololens. Apple acquired Metaio in 2015 to develop it as its own SDK. What are augmented reality SDKs? SDKs are those which help in developing augmented reality based applications. Layar and Wikitude – Android. AFAIK, Wikitude and Layar have made their SDKs public. Android Studio provides the SDK for AR apps development. For iOS it is Metaio SDK which has been acquired by Apple now. what are the end user touch points of AR? Desktop based applications, AR in mobile app, AR based ads & promotions, 3D & 2D based animated Objects and Models, AR in gaming and lot more. Mixed Reality is a combination of Augmented Reality and Virtual Reality. Augmented reality brings digital objects into real-world environment while virtual reality immerses users into a whole new digital world. Mixing up these two technologies to create environment where real and digital objects interact or work together to create new experiences is called mixed reality. you an invest in the right company if your services or products are really needed for the targeted audiences. Do I need to use any other software other than those that is showing on the video and adobe air 2.5? Adobe AIR and Flash are actually running the Flash virtual machine over the Dalvik virtual machine, you might experience performance issues for such a CPU intensive task such as AR. I want to publish my app under AndAR?, is it possible? Yes, your project is launched under GNU (General public License). How effective to integrate AR with appcelerator titanium? i) A cross-platform API for accessing native UI components such as navigation bars, menus, and dialog boxes and native device functionality including the file system, network, geolocation, accelerometer, and maps. ii) Transparent access to native functionality not already covered by the API. How to use Android Studio with Vuforia to build AR app? The update of Vuforia 5.0.10 supports Android Studio, the integrated development environment for Android platform. What are the widely use SDK’s? The most popular and widely used SDKs are Vuforia, Layar, ARToolKit, NyARToolkit, LinceoVR, HandyAR, FLARToolKit, AR-media, Google plugins, SketchUp, Junaio and Wikitude. Do you use cloud for AR? Yes. The images are modified real time using cloud technology. How to start my Augmented Reality android app? Thanks for such a great post sharing here. Thanks for such a great post posting here. And the point which you have covered in this post regarding ~ “How to develop Augmented Reality based mobile apps?” is superb. Keep updating us like this. What are the key aspects that forms the basics of 2d Augmented reality? What is your AR business values? how effectively was augmented reality used for lansdowne project? Augmented reality was used for the purpose of driving user engagement with the restaurant app. We used AR to deliver surprise discounts and special offers while scanning the Lansdowne restaurant relation logos, posters. Thank you for sharing the information about Mobile App. Currently I am reading mobile app related blogs.